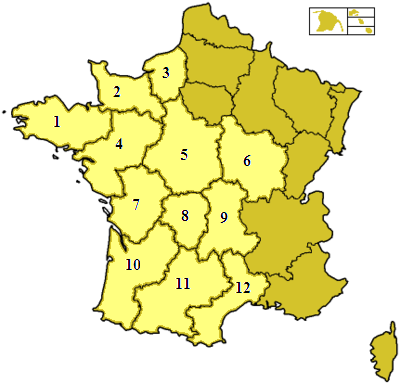 There are 26 regions in France. Each is divided up into counties or 'departments'. Each is quite different from the other. Generally speaking, English people do not buy property in the Eastern regions of France - so, on our websites, we concentrate only on those Regions in the West of the Country. (See the map below).